Discovery World is Milwaukee’s premier non-profit science and technology center for families that offers fun and educational activities through unique, interactive exhibits and exciting educational labs and programs. Exhibits showcase the technology or science behind local companies, with national and international presences, that are pioneers in these fields. As a science and technology center, we also have a true commitment to expanding learning to our community’s youth in Science, Technology, Engineering, and Mathematics (STEM). Our goal is not only to enhance traditional classroom learning, but also to create an excitement for STEM fields in the minds of children, even before heading to high school and beyond. We rely on generous community partners and individuals to provide more than $2 million in annual financial support. Your gift will ensure we can continue to provide exciting experiences and educational programs for Milwaukee, the region, and the state of Wisconsin. The Innovator’s Circle recognizes donors who have made a gift or pledge of $5,000 or more towards our Building a Stronger & Brighter Future Campaign, or an estate gift commitment of $100,000 or more for our Infrastructure and Long-Term Sustainability endowment. Steve Atwell was a vibrant presence at Discovery World, where he spent more than 14 years as the Director of Development. Inspired by Steve’s commitment to Discovery World and to Milwaukee youth, the Steve Atwell Memorial Youth Scholarship was created. When fully funded, this endowment will ensure that young people in our community can continue in perpetuity to find enrichment and inspiration at Discovery World regardless of their financial status. The investment earnings from this endowment will give unrestricted and personalized access of our STEM programs, camps, research, labs, staff, and collaborative partners to our area’s youth. 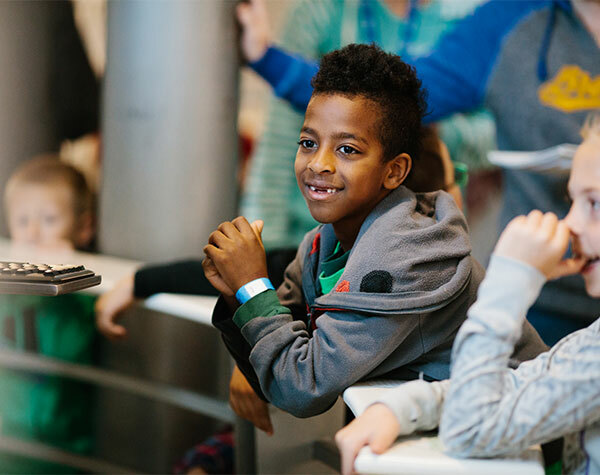 For donors who prefer to help today’s youth, regardless of their financial status, access the enrichment and inspiration that Discovery World offers. Discovery World’s Access Fund gratefully accepts gifts, pledges, and estate gift commitments of any size. The only replica of a 19th century three-masted Great Lakes schooner in the world, the S/V Denis Sullivan was built by nearly 1,000 dedicated volunteers who generously gave more than one million hours over five years to see their big vision become a breathtaking reality. The S/V Denis Sullivan embodies the sweat, souls, and spirit of citizens who labored to help build the first tall ship to take shape in Wisconsin during this century and was ultimately designated as Wisconsin’s Flagship. Every time the S/V Denis Sullivan sails, she carries with her the pride of every volunteer, student, visitor, donor, and crew who has supported this remarkable endeavor. It is in large part because of our S/V Denis Sullivan volunteers and donor contributions that Discovery World’s mission of freshwater education has been made possible. If you have included Discovery World in your estate plans, please let us know. We would like to thank you for your generosity, make sure the purpose of your gift is understood, and recognize you as a member of our Founder’s Club. Our Department of Philanthropy is happy to help you explore options for designating a bequest to Discovery World. Please see our sample language. Those considering a planned gift should consult their own legal and tax advisors. The staff in the Department of Philanthropy are happy to speak with advisors as well. Please contact the Development Office at 414.765.8605. We are excited to share with you that Discovery World has begun the first phase of a major expansion and renovation that will, when all phases are complete, add nearly 20,000 square feet of accessible public space to our center!